The year 2016 saw a total of 85 known orbital launch attempts operated by eight nations from space ports in nine different countries. 2016 ranks third in the current century in terms of the total number of orbital launch attempts, short to 92 attempts in 2014 and 87 in 2015, and tied with 85 attempts in 2000. 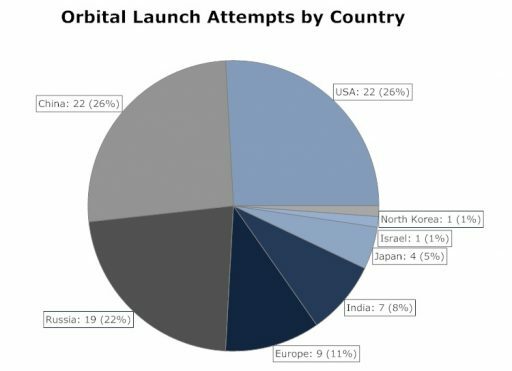 In the lead for 2016 are the United States and China, each with 22 orbital launch attempts. Russia was not able to keep its leading position in the number of annual launches it held since 2004 and ranks third with 19 performed launches. Europe's rockets flew nine times this year while India continued to catch up to the big players in the space business and carried out seven orbital missions plus a pair of sub-orbital technology demonstration missions to feed into future launch vehicle development. Japanese launchers flew four times this year, Israel launched one mission and North Korea carried out a single, controversial orbital mission. 2016 saw two failed launches on missions operated by China and Russia, China also suffered a partial failure and a pair of missions of the U.S. and Russia had close calls but achieved all mission success criteria. 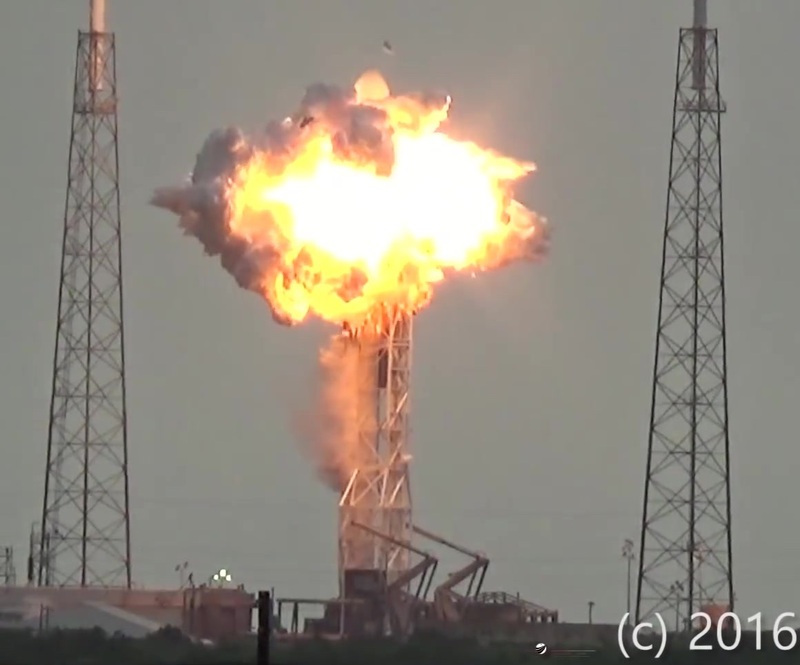 Furthermore, one operational orbital launch vehicle and its payload were lost in a testing accident. * Falcon 9 rocket & AMOS-6 Satellite lost in September 1 testing accident, days before the planned orbital launch attempt. 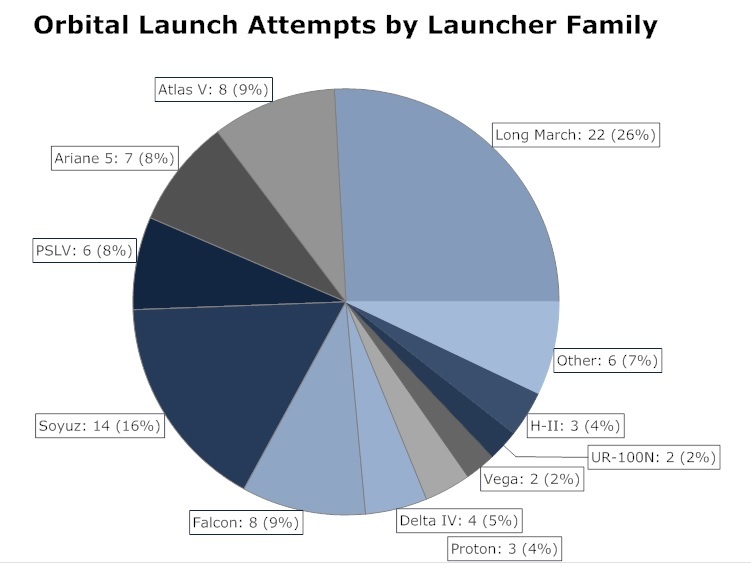 On this page counted as loss of operational launch vehicle & payload, but not a launch failure; others may count 23 U.S. launch attempts in 2016 including the F9-029 mission. Sep 01 Falcon 9 FT AMOS-6 Pre-Launch Liquid Oxygen Loading Procedure caused a build-up of solid oxygen which reacted with the carbon in a Carbon-Fiber Overwrapped Pressure Vessel, resulting in a deflagration on the second stage. Launch Vehicle and Payload were lost. China and the U.S. are in the lead for 2016 with 22 orbital space launches, ending Russia's 12-year streak of being the leading nation in the number of orbital missions conducted annually. 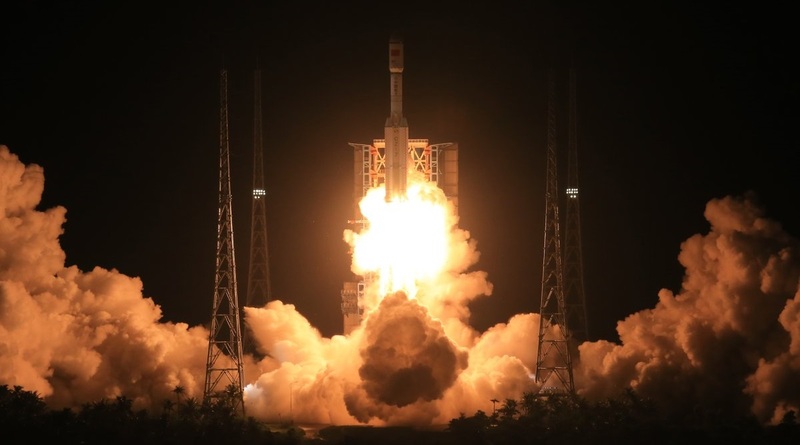 2016 was an unprecedented year for Chinese space activities - the country premiered two new rockets that will build the foundation of its future line of orbital launch vehicles, inaugurated a new space port, pushed its record for the longest crewed space mission and orbited a variety of satellites at a steady pace. The Long March series of rockets has been responsible for a quarter of orbital launches performed in 2016 - lifting satellites to all types of orbits, delivering China's Tiangong-2 space station to orbit and lifting a crew of two on a month-long stay aboard the miniature space lab to pave the way to the operation of a large modular space station that will open for business by the end of the decade. 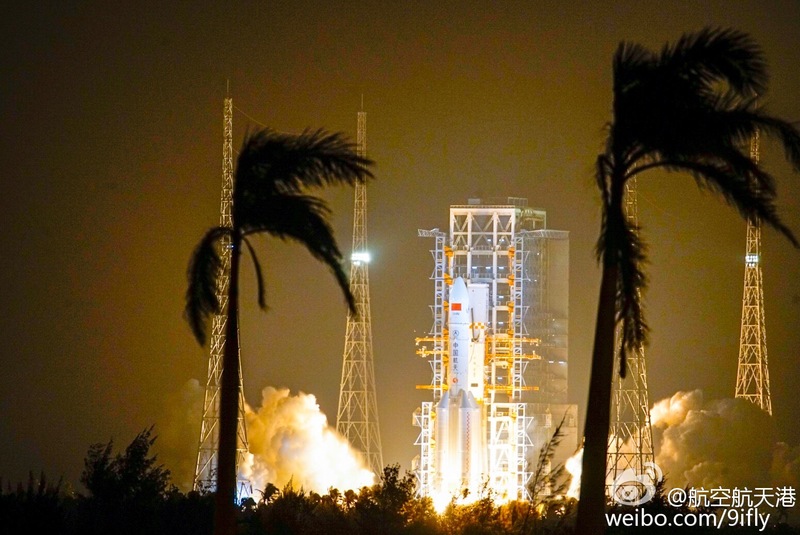 China's Long March 7 rocket made an impressive debut in June 2016, lifting off from the Wenchang Satellite Launch Center on Hainan Island - China's first coastal space port. Thousands of spectators gathered near the space center to watch China's future workhorse rocket take flight, carrying a number of satellites as well as a demonstration vehicle of the country's next-generation crew vehicle that will ultimately replace the Shenzhou spacecraft. The Long March 5 rocket - currently the most powerful active launch vehicle in the world - thundered off from Wenchang in November, lighting up the night after an eventful launch countdown that put China's finest rocket engineers through their paces to get the heavy-lifter off the ground. The rocket's flight was equally exciting, with a few bumps on the road, but achieved a successful orbital delivery of the Shijian-17 satellite which itself has been used to expand China's in-space repertoire with a maneuvering vehicle in Geostationary Orbit. 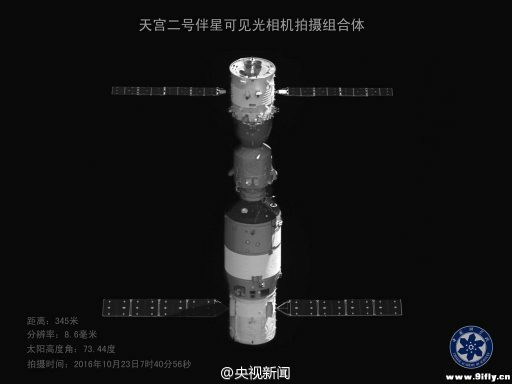 China's human spaceflight aspirations went to new heights in 2016 with the Shenzhou 11 mission to the Tiangong-2 space laboratory. Astronauts Jing Haipeng and Chen Dong spent a full month in orbit, entering a regular work routine to support an ambitious science schedule to explore aspects of human spaceflight relevant for long-term habitation in Low Earth Orbit. In 2016, China also continued expanding its Earth sciences branch with the launch of the TanSat Carbon Dioxide monitoring craft that builds a cornerstone in China's plan to reduce greenhouse gas emissions. 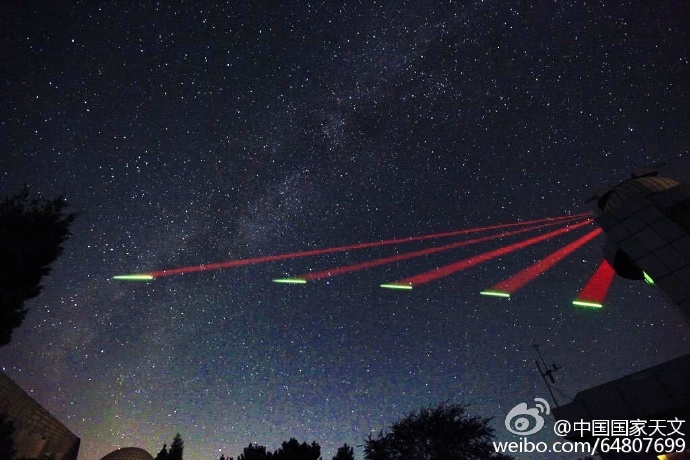 A number of technology demonstration missions were launched by China this year, highlighted by the Quantum Science Satellite - the first dedicated satellite to demonstrate communications by means of entangled photons, particles of light, which promise perfect security against eavesdropping parties. Atlas V remains the most-flown American rocket this year with eight missions including a pair of purely commercial missions as the vehicle slowly gains a foothold on the commercial launch market. 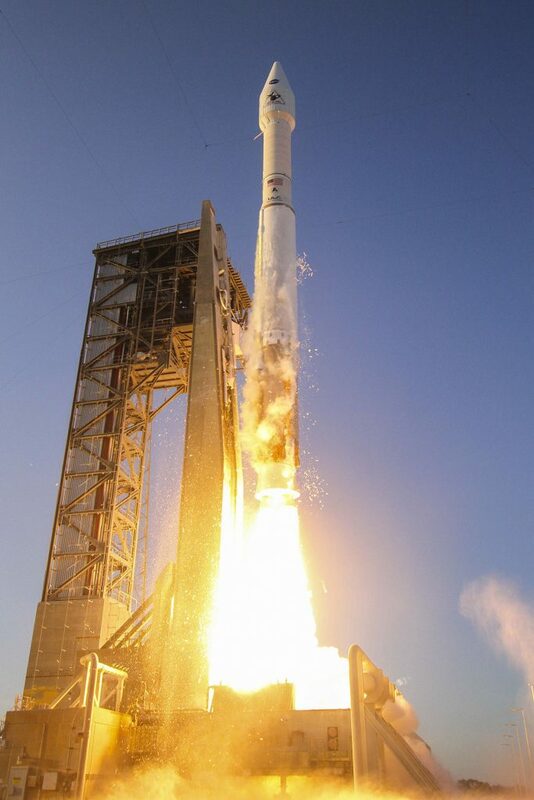 In 2016, Atlas V finished the deployment of the IIF generation of GPS navigation satellites for the U.S. Air Force, sent cargo on its way to the Space Station, lifted the final satellite for the U.S. Navy's Multi User Objective System, sent NASA's OSIRIS-REx asteroid sampling mission on its way, lifted the GOES-R weather satellite to ring in a new era in weather forecasting, performed a hush-hush mission for the NRO, and gave a ride to the commercial WorldView-4 and EchoStar-19 satellites. Atlas V kept up its impeccable safety record in 2016 with all payloads reaching their respective destinations, but one of its missions brought a bit more excitement than the rocket's builders had bargained for. When lifting the Cygnus OA-6 cargo vehicle, the first stage of the rocket ran into a problem with its Mixture Ratio Control Valve that reduced the flow of fuel to the rocket's main engine. The uneven consumption of propellant reduced the engine's performance and caused an early shutdown that had to be made up for by the trusted Centaur upper stage which - thanks to the mission's healthy performance margin - had just enough fuel to lift Cygnus to the target orbit. ULA's other rocket family, the Delta IV, flew four times in 2016 - launching a pair of missions for the National Reconnaissance Office, sending a pair of orbital patrolling satellites on its way and giving a ride to the WGS-8 communications satellite for the U.S. military. SpaceX anticipated to fly out a busy manifest in 2016 after coming back from a lengthy stand-down in 2015 that caused a backlog of missions from both coasts of the United States. The company opened the year with the final launch of the Falcon 9 v1.1 rocket from Vandenberg Air Force Base, carrying the Jason-3 ocean altimetry satellite before operations shifted to Cape Canaveral and the Falcon 9 FT which operates at a higher engine performance setting and consumes super-cooled propellants on both of its stages. 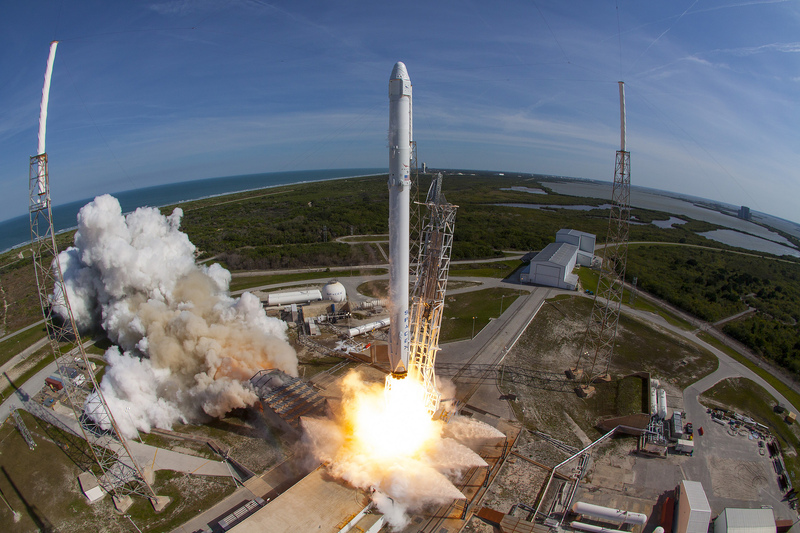 Falcon 9 established a healthy launch cadence of one mission every four weeks - sending four Geostationary Payloads and a pair of Dragon cargo missions on their way between March and August. These missions also continued to push ahead with SpaceX's reusability aspirations - achieving the very first successful landing of a first stage on the Autonomous Spaceport Drone Ship after dispatching the Dragon SpX-8 cargo ship on its way into orbit. A high-energy ocean-landing was achieved on the very next flight with the JCSat-14 satellite and SpaceX managed a perfect hat trick of ocean landings with the Thaicom 8 mission. 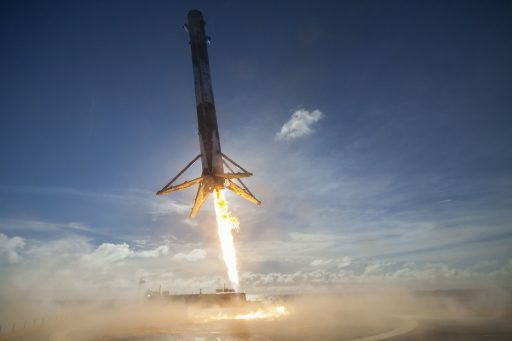 Falcon 9 stood another two perfect landings - one on its concrete pad at Cape Canaveral, the other in the middle of the Atlantic, giving SpaceX an inventory of six recovered boosters. To pave the way for the first re-use of a rocket stage, SpaceX re-fired the JCSat-14 first stage - the one battered most on its return to Earth - several times at the company's McGregor facility to become a 'life-leader' and demonstrate that the rocket can support multiple tanking and firing cycles. The first customer for a re-flight mission - the SES-10 satellite - was lined up for launch in the fall when SpaceX was stopped in its tracks on September 1st. Standing tall atop its Florida launch pad, counting down to a routine pre-flight test firing, the Falcon 9 rocket suddenly burst into flames and collapsed onto the pad structure - claiming the loss of the AMOS-6 communications satellite that had been placed atop the rocket prior to the Static Fire test. Launch operations were stopped and SpaceX specialists began piecing together an intricate failure mechanism that brought down the 70-meter tall rocket. SpaceX again took to McGregor to recreate the conditions of the failure, in the process blowing up a series of rocket tanks. The company uncovered a complex interplay at work in the second stage's oxygen tank during the high-speed tanking sequence which created oxygen in its solid phase that was able to combust with the carbon of one of the Carbon-Fiber Overwrapped Pressure Vessels that are submerged within the liquid oxygen tank. Changes to the tanking procedure as well as some hardware improvements have been implemented and SpaceX is on-course to returning to flight in January 2017 - hoping for a clean year to tackle a packed manifest. 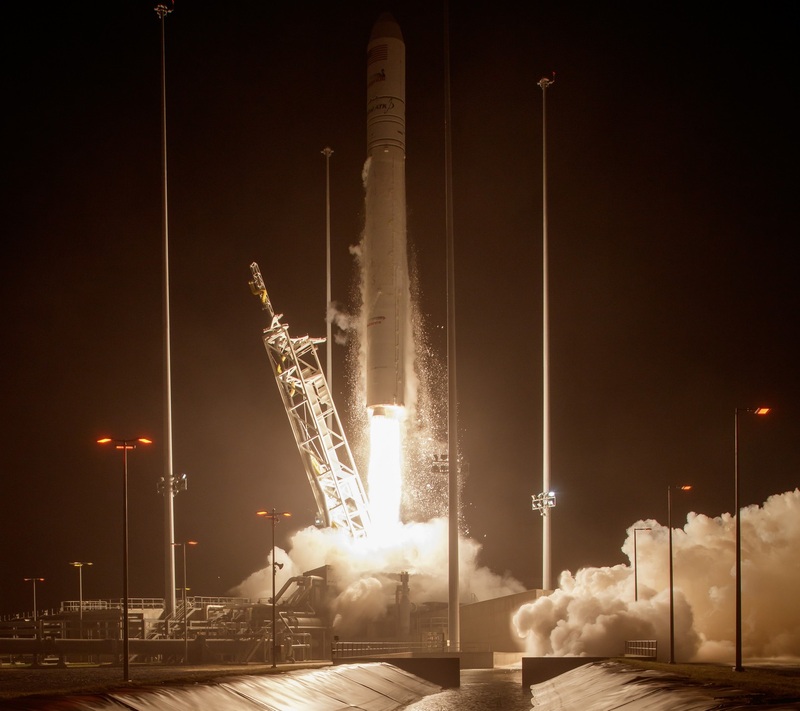 Orbital ATK was also able to celebrate a successful year - keeping up the company's obligations to the Space Station program via two successful Cygnus cargo resupply missions to the orbiting complex, one launched by ULA's Atlas V and the other riding the improved Antares 230 on the rocket's return to flight after a two-year gap. The company's seldom-used Pegasus rocket flew successfully in December with NASA's CYGNSS hurricane-research mission, rounding up a successful year for U.S. space operations. 2016 was a rather slow year across the board for Russia with only 19 orbital missions. 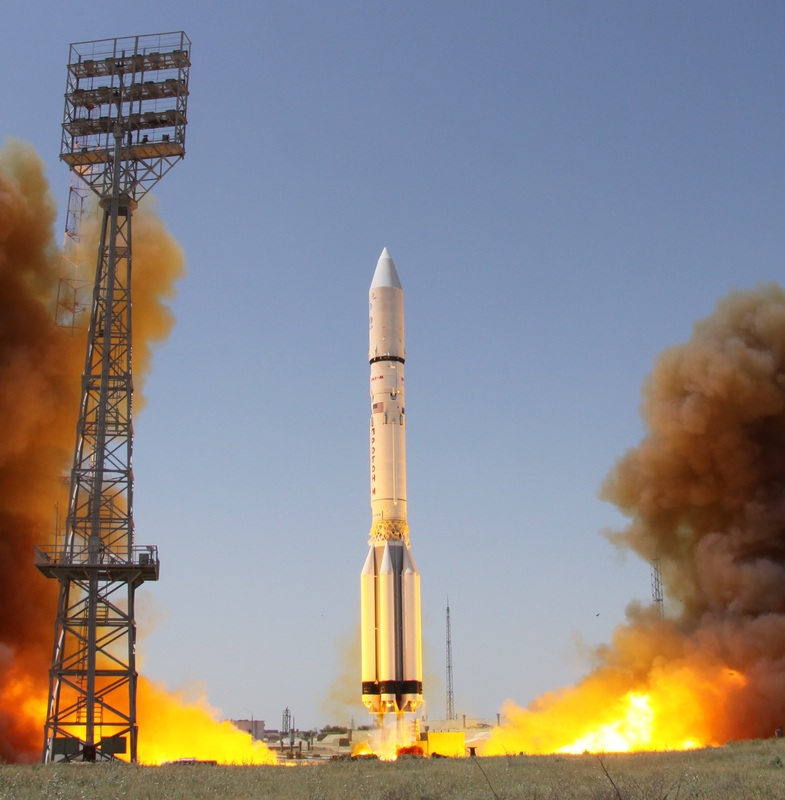 Proton’s struggle with reliability has been a big factor in Russia losing its leading position with only three flights of the heavy-lift workhorse in 2016 – a January 29 mission with the Eutelsat 9B telecom satellite, the launch of the ExoMars2016 mission in mid-March and then the nail-biting launch of Intelsat 31 on June 9. Debuting the Phase IV performance enhancement, Proton was headed up the hill when one of its four second stage engines gave out nine seconds before the scheduled cutoff time - leaving the rocket 28 meters per second short when separating its upper stage which then had to spent additional propellant to achieve an initial parking orbit and then head on with its planned mission. Typical overperformance of the upper stage engine on its five burns made up for the 200kg of additional propellant expenditure during the initial firing, allowing Intelsat 31 to reach a nominal orbit. This marks a four-decade low for the venerable Proton booster that has consistently flown more than three missions per year since 1973. 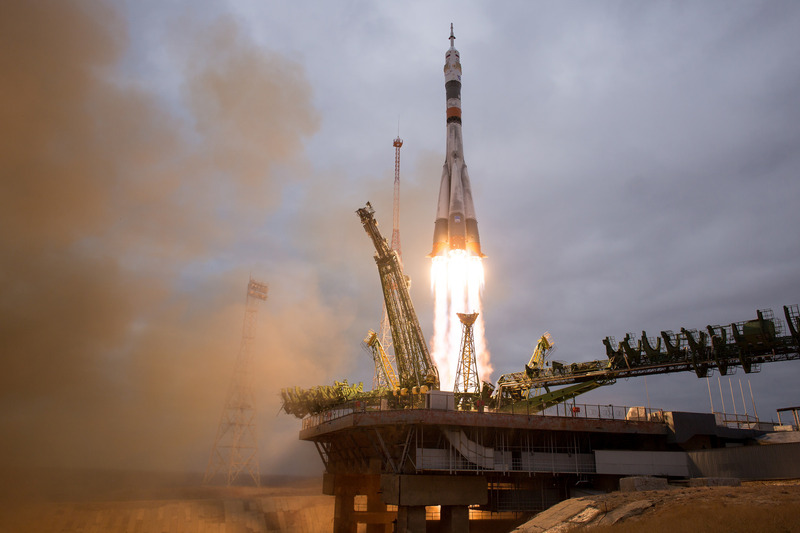 Russia’s Soyuz performed 14 missions this year including four crewed launches to the Space Station and a pair of missions conducted from French Guiana. The workhorse is currently grounded after suffering a failure earlier this month when lifting the Progress MS-04 cargo craft on a supply run to the International Space Station. The mysterious failure – characterized by an abrupt loss of telemetry – remains under investigation to clear Russia’s flagship rocket for a busy manifest in 2017. Two successful flights of the Rockot booster leave Russia with a total of 19 orbital launch attempts in 2016, one failure and one close call that remained without consequences. Europe's spaceport in French Guiana supported 11 missions in 2016 and, for the first time in its history, was as busy as the Baikonur Cosmodrome, Russia's primary launch site in Kazakhstan. Arianespace operated seven heavy-lift deployments by Ariane 5, a pair of Soyuz missions in support of Europe’s Copernicus Earth Observation and Galileo Navigation Programs, and two flights of the light-lift Vega rocket to lift Earth observation satellites for Peru & Turkey as well as four Google-operated imaging birds. 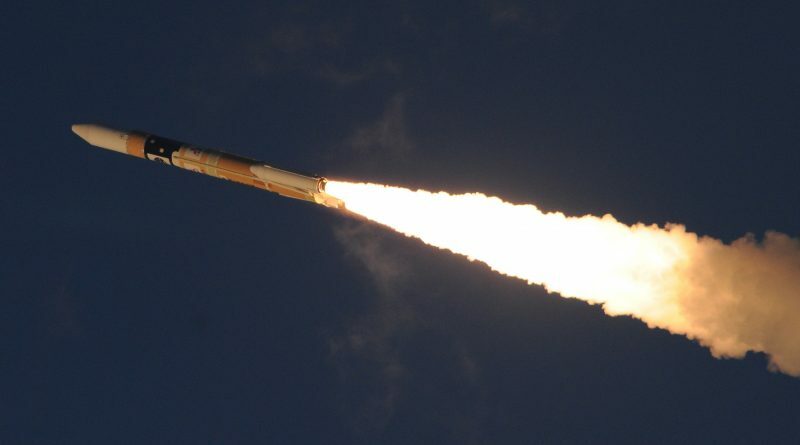 Coming in at seven missions this year, Ariane 5 equalized the previous record set in 2009 and 2012, though Ariane’s missions were a bit more varied than in previous years – conducting single-payload missions, a direct delivery into Medium Earth Orbit and a number of dual-satellite flights. 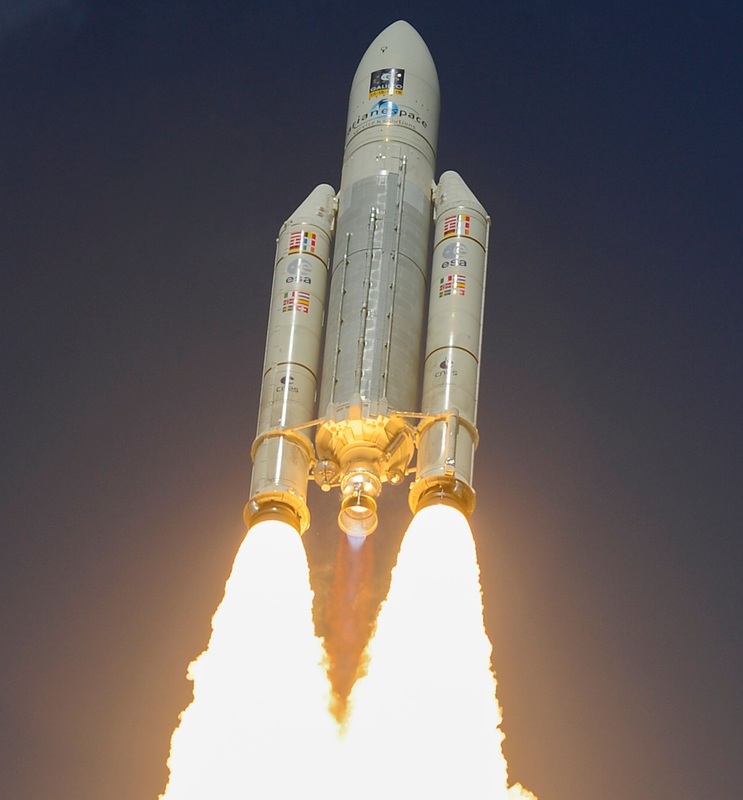 The first two Ariane 5 missions of 2016 in January and March were unusual single-payload flights, orbiting satellites for Intelsat and Eutelsat after both companies decided to foot the bill for dedicated Ariane 5 launches to forego a wait period until suitable co-passengers could be found. Next up for Ariane 5 were three dual-payload deliveries, conducted in June, August and October to lift an international assortment of communications satellites including the first dedicated banking satellite operated by an Indonesian Bank. A specialized version of the Ariane 5 ES rocket premiered in November, outfitted for an extended mission to directly lift four Galileo satellites into a circular orbit over 20,000 Kilometers in altitude. Concluding 2016, Ariane 5 again launched a pair of satellites. India stepped up big time in 2016 - flying seven orbital missions this year all of which were completely successful with a high-degree of schedule certainty. 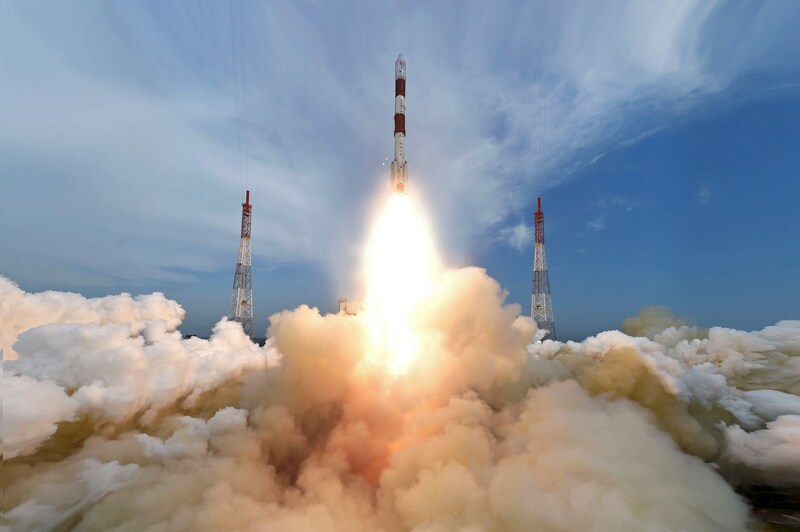 Of India’s seven orbital missions flown this year, one was executed by the Geosynchronous Satellite Launch Vehicle while the other six were completed by PSLV – representing a new record for India’s workhorse. 2016 began with a salvo of three PSLV launches in support of the Indian Regional Navigation Satellite System, deploying the final three satellites to orbit for full operational services of the constellation. 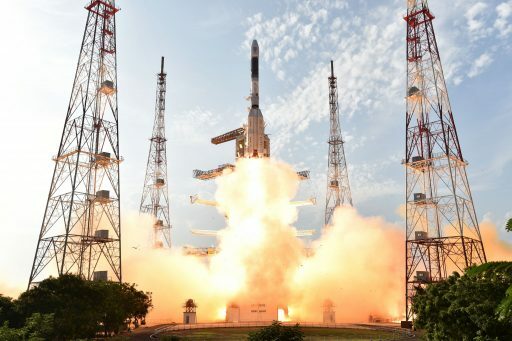 In June, PSLV lifted the CartoSat-2C satellite and a group of small satellites into orbit followed by the lone GSLV launch of the year in September which carried the INSAT-3DR weather satellite to orbit. In late September, ISRO achieved another first – using PSLV for the launcher’s first multi-orbit mission with multiple upper stage burns to deliver the SCATSat-1 ocean-wind monitoring satellite into a different orbit than a group of secondary payloads carried on that flight. ISRO's last mission of 2016 orbited the ResourceSat-2A satellite. 2016 also saw a pair of sub-orbital flights from Satish Dhawan in support of India’s Reusable Launch Vehicle Program, demonstrating a winged space plane and Hypersonic Scramjet engine. Japan performed four successful missions in 2016 - two flights of the H-IIA rocket with the Astro-H and Himawari-9 satellites, a heavy-lift mission of the H-IIB with the sixth H-II Transfer Vehicle headed to ISS and the debut of the Enhanced Epsilon light-lift vehicle with the ERG particle observatory studying Earth's radiation belts. H-IIA's first mission of the year successfully lifted the Astro-H (Hitomi) X-Ray Observatory into Earth orbit to study the high-energy universe with unprecedented X-Ray vision. This success, however, was only short-lived as Hitomi spun out of control after only a handful of observations due to a chain of onboard failures and insufficient oversight by flight software designers that left the spacecraft vulnerable to a single point failure. Israel performed one launch in 2016, employing the country's Shavit rocket to lift the Ofeq-11 optical reconnaissance satellite into a unique retrograde equatorial orbit. 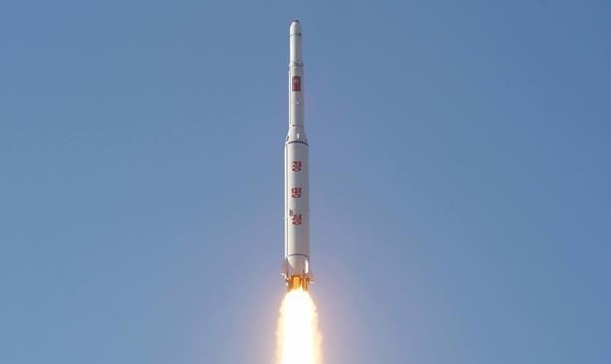 North Korea carried out a controversial launch in February with its KMS-4 rocket (Unha-2-type) successfully achieving orbit with the Kwangmyongsong-4 satellite. However, no signals from the satellite were detected by parties outside North Korea, suggesting an apparent spacecraft failure as was the case with the country's first satellite that reached orbit in 2012.